The historic province of Transylvania is a multicultural land, where Romanians, Hungarians, Germans, and other ethnic groups have lived together for centuries. Some of the most striking and valuable treasures of Romania are owed to the German populace that settled in Transylvania starting with the 13th century, known as Saxons, or “sasi” in Romanian. Probably the best known elements of Saxon heritage are all the fortified churches in Romania, some of which were inducted in the UNESCO World Heritage for their great cultural and historical value. We take a look at ten of the finest fortified churches in Transylvania below. Located in the heart of the Transylvanian Plateau, Biertan is one of the first Saxon settlements in Transylvania, first documented in 1224. Made a UNESCO World Heritage Site in 1933, the Fortified Church of Biertan was built in several stages, the first beginning in 1490. An imposing triple belt of fortifications was meant to stop attackers from reaching the church, which was used as a safe haven in time of trouble. 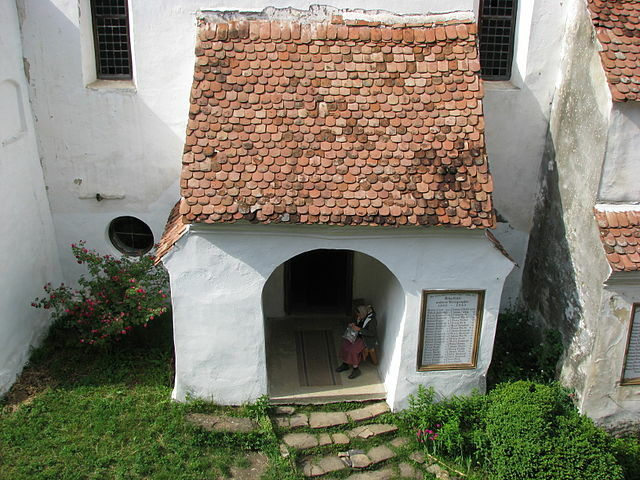 One of the most unique features of this Romania fortified church is the so called “prison cell” where legend says married couples that wanted to break up were locked for two weeks. Only one couple decided to go ahead with the divorce after going through this treatment.. Located in Alba County, the village of Calnic was first mentioned in a document from around 1200. Today, a peaceful, almost idyllic village, Calnic had to face the threat of invaders throughout the Middle Ages, which explains the work that was put into erecting and restoring the Fortified Church of the village. One of the few dungeon citadels in Transylvania, the Calnic fortification features a 20 meter tower with a cellar and a total of four stories. A chapel was erected within this fortification, while the village’s Evangelical church is actually found outside of it, in the village cemetery. One of the main attractions of the village is the small, bur exquisite organ fabricated in 1867 in Vienna. 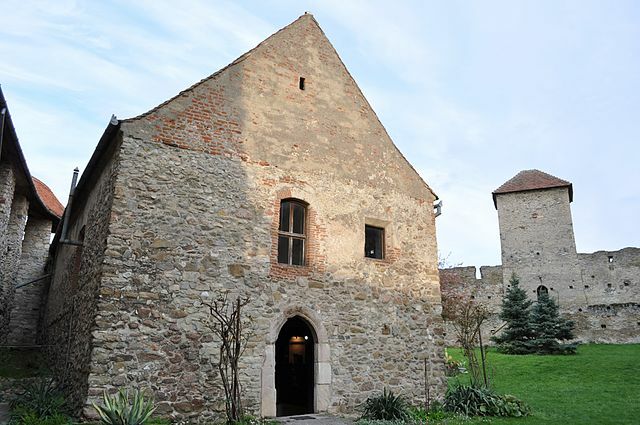 Built in 1265 and dedicated to the Virgin Mary, the Fortified Church of Cincu in Brasov County is precious both through itself and through the valuable collection of historic artifacts that it hosts. Benefiting from an excellent natural position, on a small hill between two rivers, the church only needed fortifications on one side. The church is considered to be the largest Roman basilica of all Romanian fortified churches. A national historic monument, the edifice boasts a collection of oriental carpets, marks of various trades, epitaphs, fragments of walls, a 15th century chalice, as well as 19th century clock. Copsa Mare is a village in northern Sibiu County that belongs administratively to the commune of Biertan; legend has it that the villagers of Copsa Mare wanted to show their neighbors in Biertan that they too could build an imposing fortified church. At the end of the 16th century, the older church of Copsa Mare was heavily fortified, with massive walls, defensive towers, and other elements, making it one of the best protected of all Romanian fortified churches. The unique altar of the church features six Corinthian pillars and a Baroque baldachin. This replaced the earlier Gothic altar, fragments of which can be seen in a Sibiu museum. Located just outside of the famed medieval city of Sighisoara, Apold was in the 15th century a prosperous Saxon community that used funds gathered from tax exemption to finance the fortification of the local church. While details of how and when the fortified church was built, it’s believed that the first elements of the construction were erected in the 13th century, while the ensemble was completed by the 17th century. The church of Apold is known for its beautiful Gothic architecture, strong defenses, and especially for the valuable paintings on wood that adorn its interior. The famous Johan Theiss, an organ maker from Sighisoara, created the church’s monumental old organ, attached to the altar.. Historian and architects consider the monument defensive constructions surrounding the Valea Viilor Fortified Church as some of the finest in all of Transylvania. The church is believed to be as old as the early 12th century, and, underneath it, ruins of a much older Roman basilica have been uncovered. Featuring Gothic elements in its architecture and decorations, the church impresses through elements such a painted tabernacle from 1504, wooden pews from 1528, a baldachin of 1746, and an organ built in 1807. A coin thesaurus found in 1780 in Mosna, a Saxon settlement in Sibiu County, contained coins dating back from the times of the Roman emperor Nero, suggesting that the area has been continuously inhabited for many centuries. The Fortified Church of Mosna was completed in 1486, standing out through its five defensive towers of which the highest is seven levels tall and contains three bells, with the oldest dating back from 1515. The southern tower hosts a small exhibition of objects representative for the Saxon community, but also a collection of archeological findings from the area, such as coins, tools, and weaponry. The Fortified Church of Prejmer, in Brasov County, is the largest and most heavily defended fortified church in Eastern Europe. It had to be, to survive the frequent attacks of invaders coming into Transylvania through the nearby Buzau Pass. 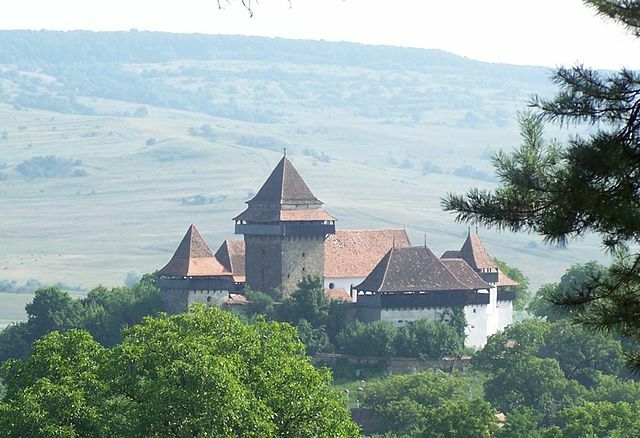 The fortification complex is a national monument, while the church itself is one of the seven Romanian fortified churches that are protected by UNESCO. Built by the Teutonic knights, the early Gothic fortified church was protected by 14 meter high walls, two towers, two bulwarks, and famously, by the “organ of death”, a mighty weapon that could fire at multiple enemies at once. Completed at the end of the 15th century, the Fortified Church of Saschiz, Mures County, harmoniously combines defensive and religious elements in one coherent ensemble. This small Saxon village nearby Sighisoara has been made famous by Prince Charles of the United Kingdom and his family, who visits it often and made many efforts for its preservation. Featuring four defensive towers and a nine meter wall, the church’s yard is organized like a small medieval town, each tower having its own name. The so called White Church of Viscri is probably the oldest of Romania’s fortified churches, historians discovering archaeological evidences that the place of worship existed in 1100-1120. 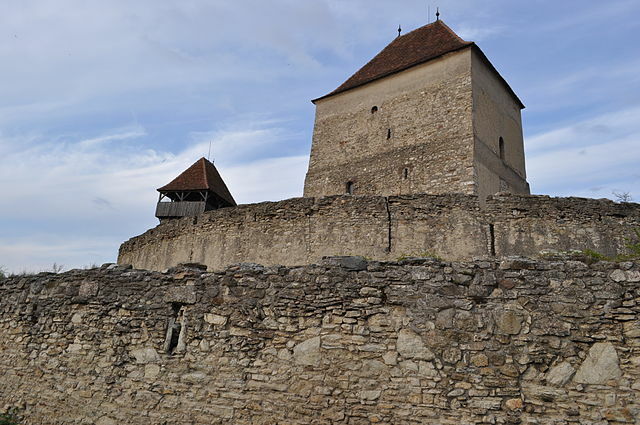 One of the few fortified churches in Transylvania built by Szeklers, not Saxons, the White Church was fortified in the second part of the 13th century, when a basalt tower and a surrounding wall were added. The edifice was expanded and restored throughout the Middle Ages, with the latest addition being an 18th century wall.